This conclusion was based on both the observation of a pumice raft in the area on 31 Oct and the analysis of so-called T-waves, a particular kind of acoustic waves that propagate well in the ocean and have been found to be typically associated with submarine eruptions from Monovai seamount. These T-waves were recorded Rarotonga, Polynesia, more than 1800 km from the volcano. They show 3 periods of possible activity at Monovai: during 16-22 Oct, 23-27 Oct and 30 Oct - early Nov. The latter corresponds well with the observation of the pumice raft on 31 Oct by the NZ airforce. The eruption reported on 11 August was most likely from Havre Seamount. The raft is 250 nautical miles long in length and 30 nautical miles wide, about 26,000 squake kilometer in size, i.e. roughly the size of Belgium, and can be seen on satellite pictures.  This suggests that the eruption was significant in size.